Houston Texans add to their secondary, taking CB Kevin Johnson No. 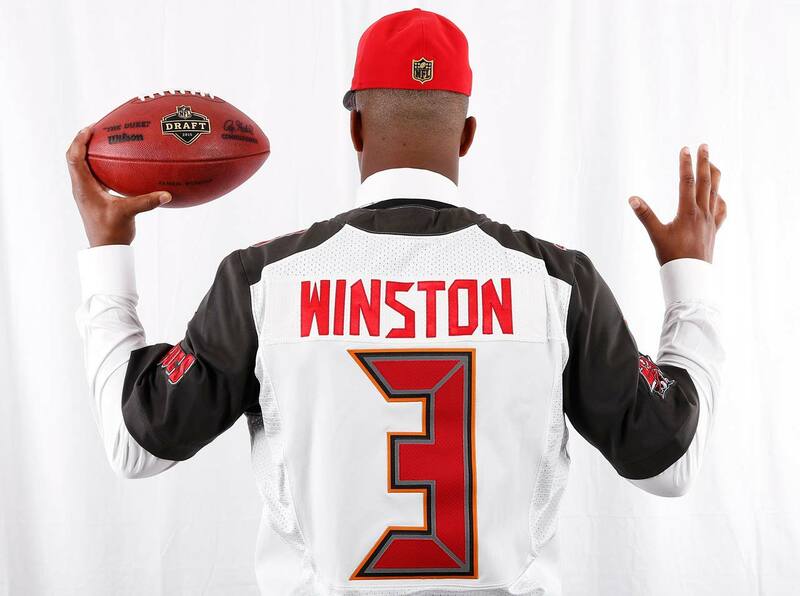 16 in the 2015 NFL draft. The cornerback debate for much of the early draft season boiled down to Trae Waynes vs. Marcus Peters. But Wake Forest's Kevin Johnson displayed more than enough talent as a Demon Deacon to crash the party, and he did just that when Houston took him at No. 16—with Peters still on the board. There will be much flashier selections made this year, but Johnson may be as solid a prospect as there is. Strengths: Wake Forest won seven games combined in 2013 and ‘14, yet Johnson still shows up repeatedly on film making plays. No question, he stood out on a dismal roster. Adapts to any type of coverage he is asked to play, flashing the footwork and strength to be a very steady press corner moving forward. Comfortable in off-coverage or in zone, too—his lone interception of the 2014 season, vs. Clemson, came with Johnson dropping deep in a Cover-3 look and then jumping a TE route. Backpedal is silky smooth. Stays square, while keeping his eyes on target. Above-average transitions out of that backpedal, no matter which direction he has to move. Athleticism on display at the combine (41.5-inch vertical, 130-inch broad jump, 3.89-second short shuttle). An NFL-ready player. Weaknesses: Makes up for a lot of his shortcomings with technique, but Johnson’s overall size leaves something to be desired. More specifically, the 188 pounds on his 6'0" frame do not provide him with enough bulk to really dominate in press as an NFL cornerback. While he’ll still win some of those matchups because of his footwork and how well he uses the sideline to his advantage, there will be times when WRs overpower him. Took a lot of penalties, usually while trying to recover. Same problem exists against the run. Can be walled off by blocking receivers, even when he’s in position. Not a great tackler for a cornerback, either. 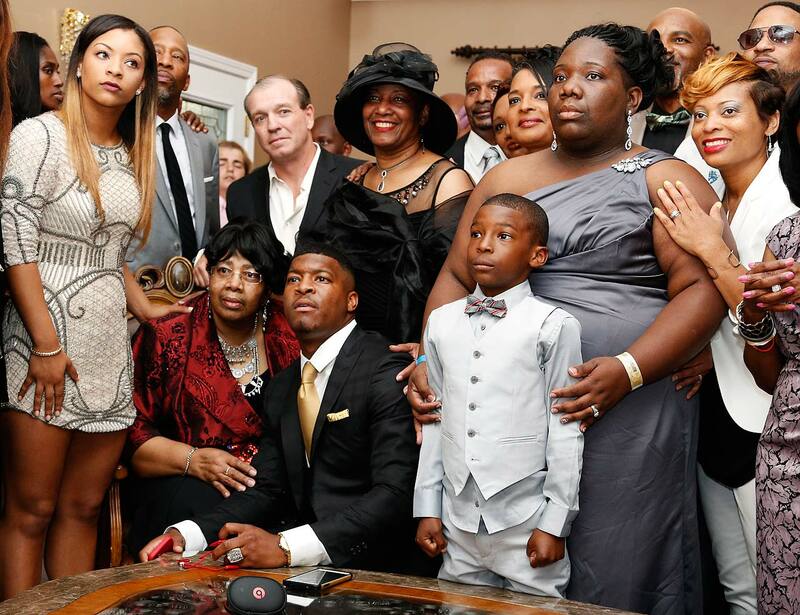 Quarterbacks started to throw away from him as his Wake Forest career progressed. Still, he did not produce many game-changing plays last season—interception number dropped from 2013 to ‘14 (three, down to one) and his total passes defensed fell each year from 2012–14 (18-12-six). 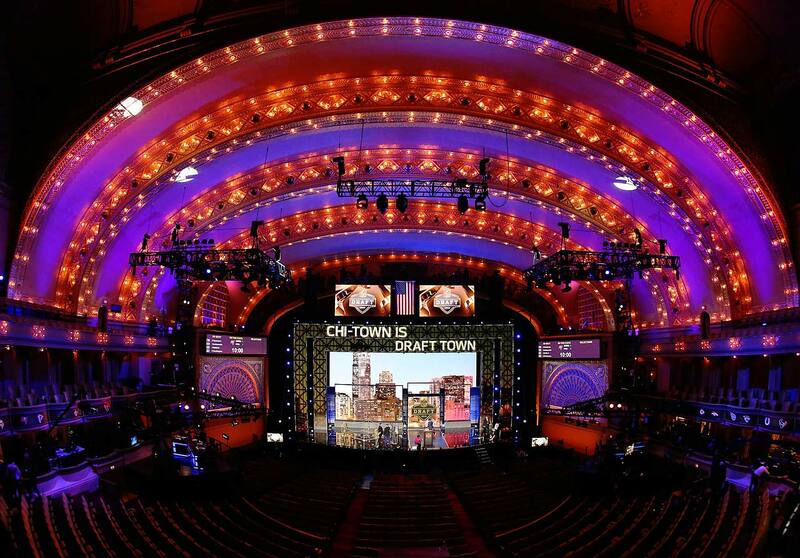 The stage prior to the start of the first round of the 2015 NFL Draft at the Auditorium Theatre of Roosevelt University in Chicago. 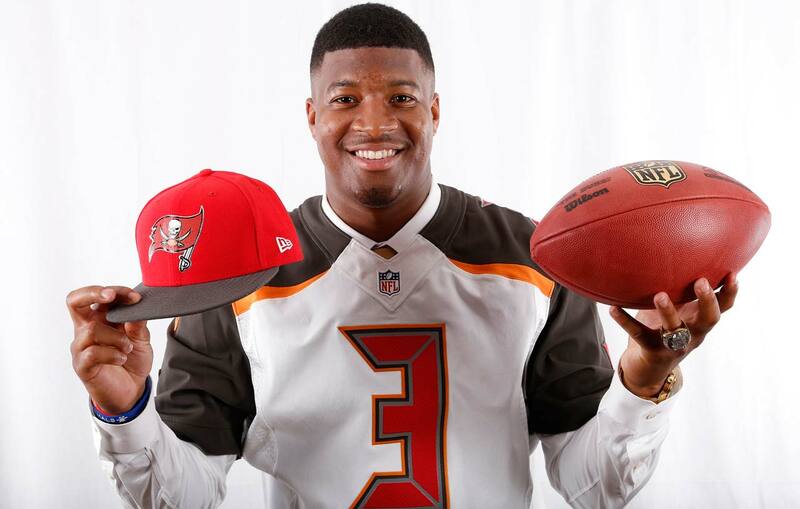 Jameis Winston takes the call from the Tampa Bay Buccaneers, who made him the first pick. 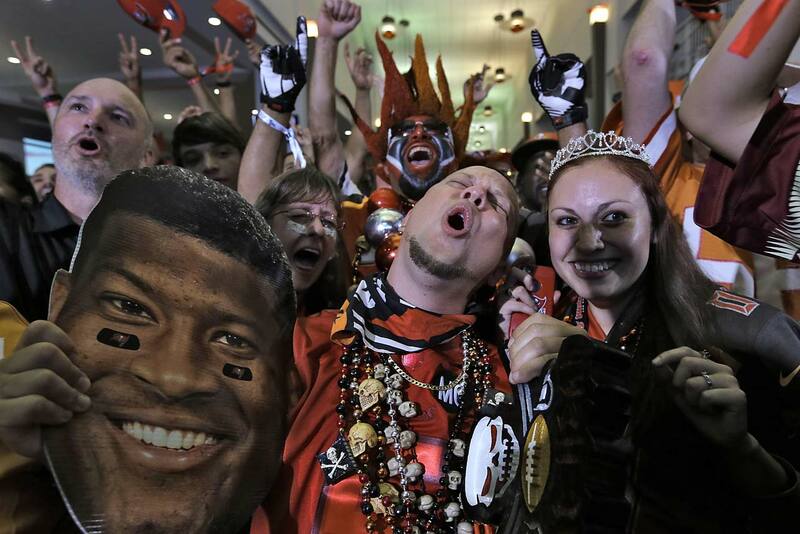 Tampa Bay Buccaneers fans react after their team drafted former Florida State quarterback Jameis Winston with the first overall pick during the NFL draft party in Tampa, Fla.
Jameis Winston posed for SI in his new team's jersey after he was taken No. 1. 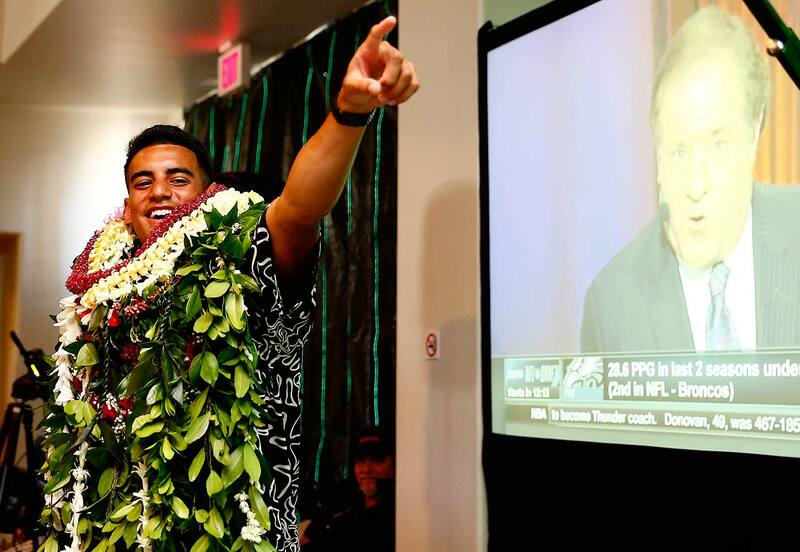 Marcus Mariota at his draft party in Honolulu. 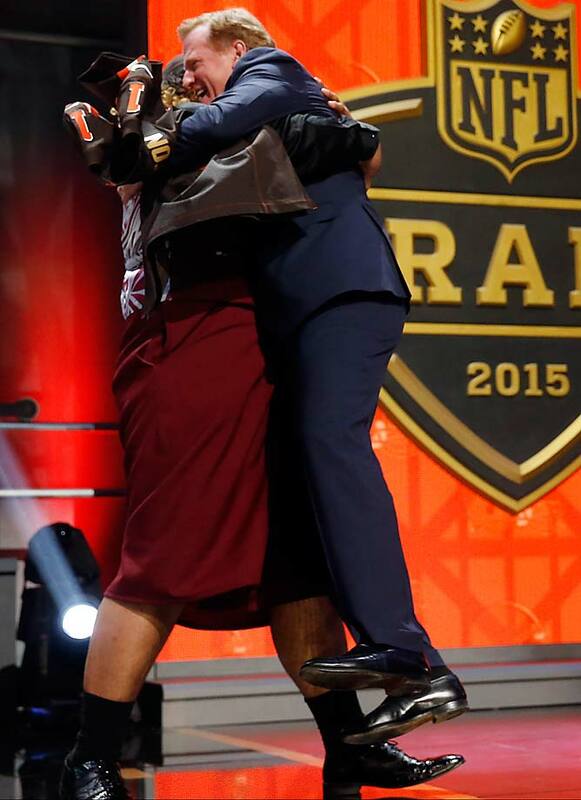 Washington defensive lineman Danny Shelton picks up NFL commissioner Roger Goodell as he celebrates after being selected by the Cleveland Browns as the 12th pick. 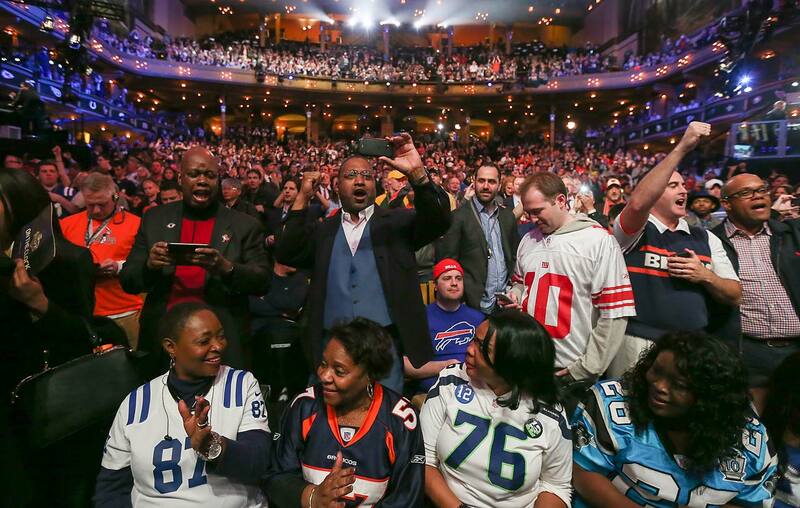 Fans cheer after Kevin White of the West Virginia Mountaineers was picked seventh by the Chicago Bears. 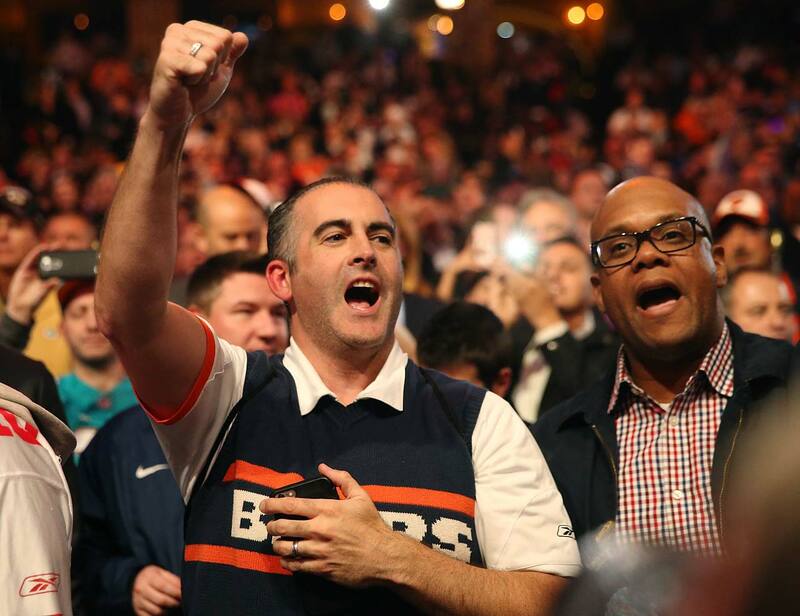 Bears fans cheer Chicago's selection of Kevin White of West Virginia Mountaineers. 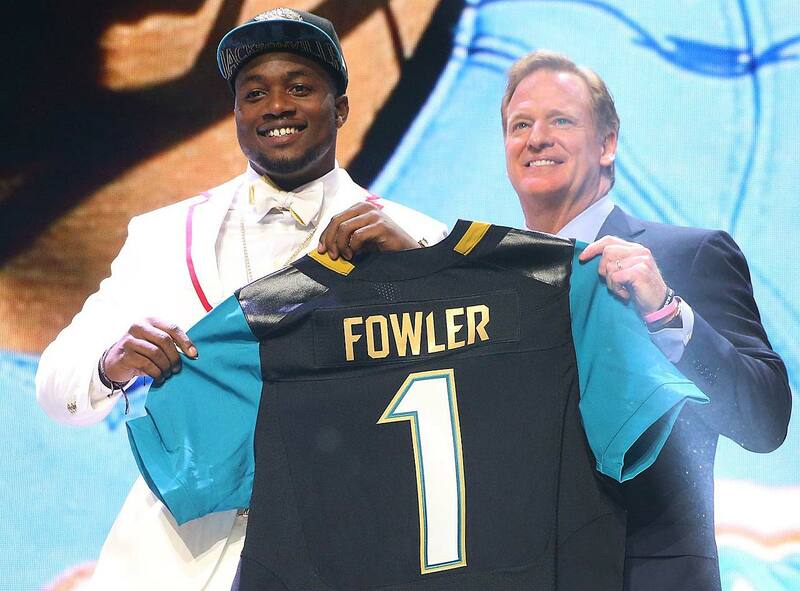 Dante Fowler with commissioner Roger Goodell after being drafted by the Jacksonville Jaguars. 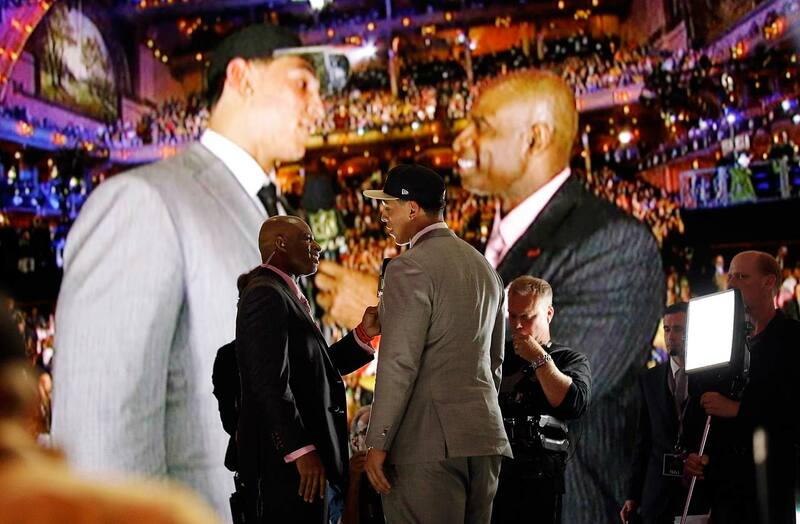 Stanford offensive lineman Andrus Peat, right, talks to Deion Sanders after being selected by the New Orleans Saints as the 13th pick in the first round. 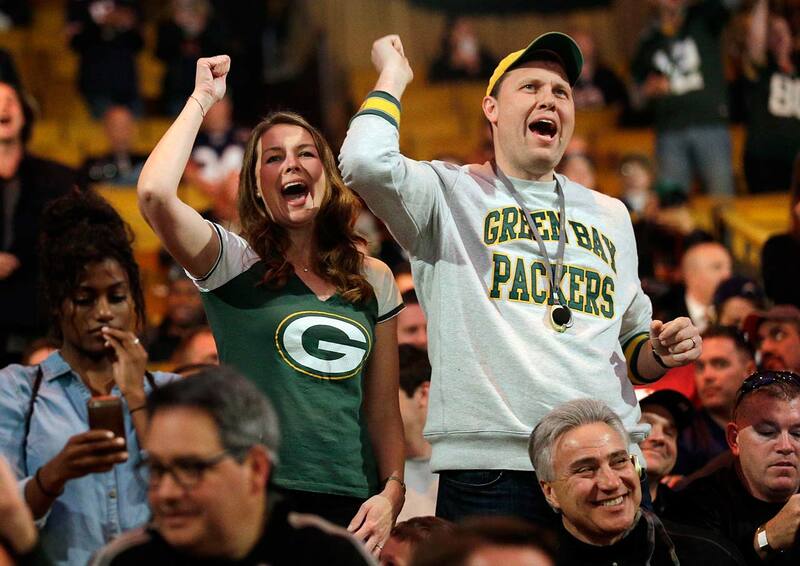 Green Bay Packers fans cheer during the first round of the draft. 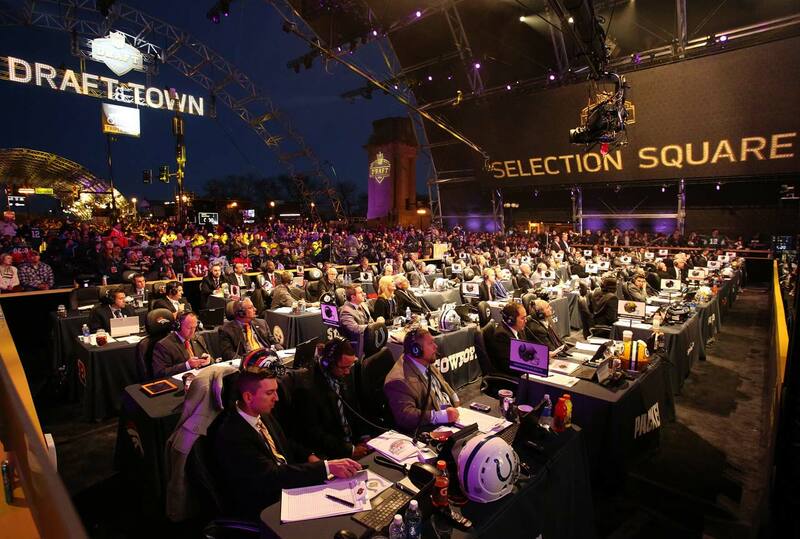 A look at some of the NFL team representatives at the draft. 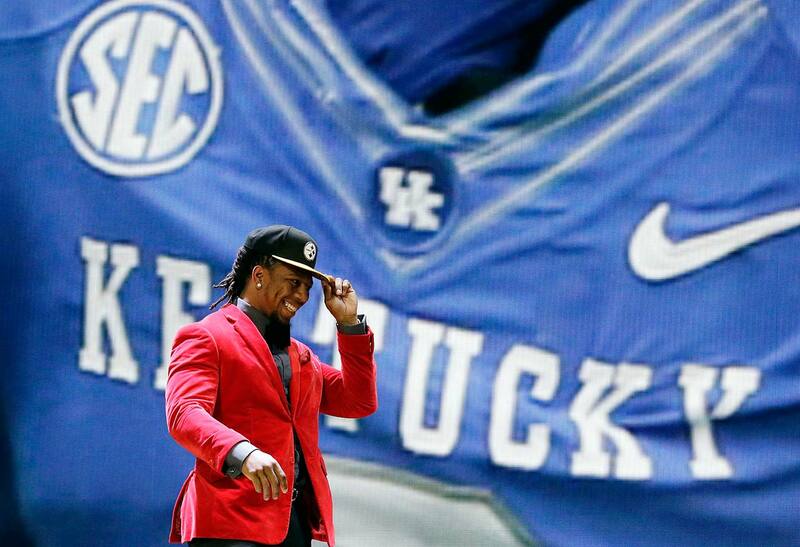 Kentucky linebacker Bud Dupree celebrates after being selected by the Pittsburgh Steelers as the 22nd pick in the first round. 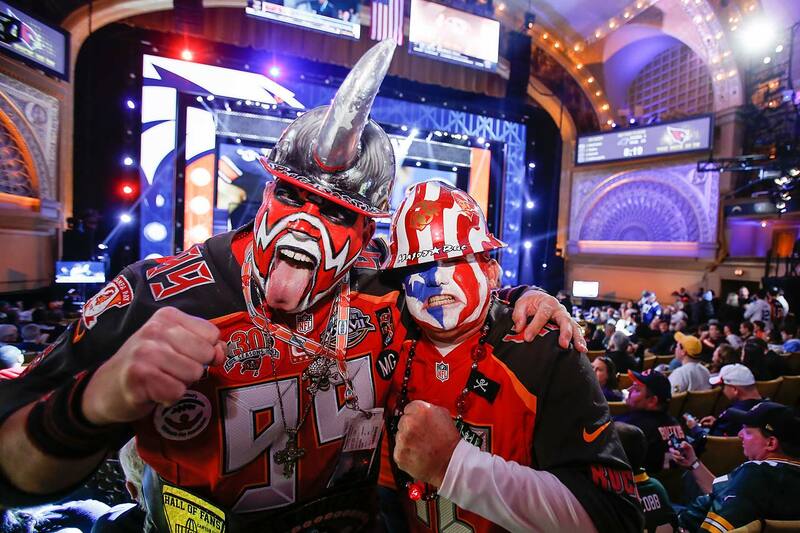 Tampa Bay Buccaneers fans Keith Kunzig and David Miller are excited to have traveled from Florida to be at the first round of the 2015 NFL Draft. 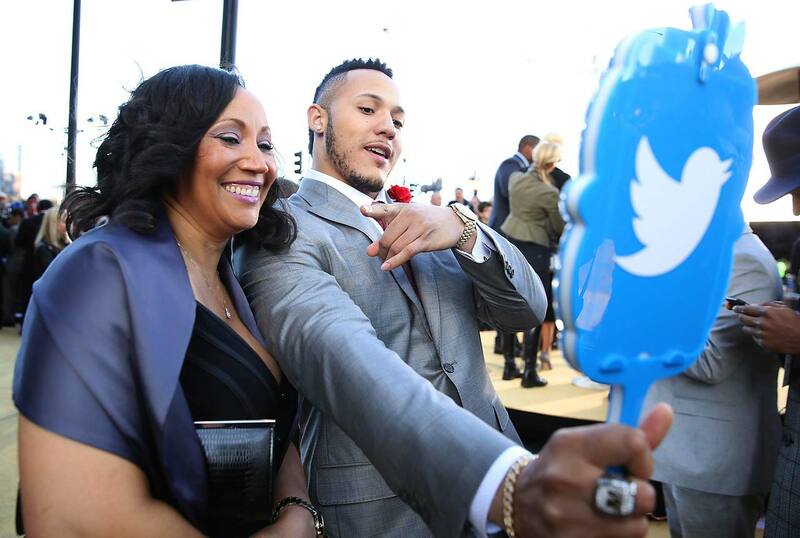 Shane Ray checks out his threads. 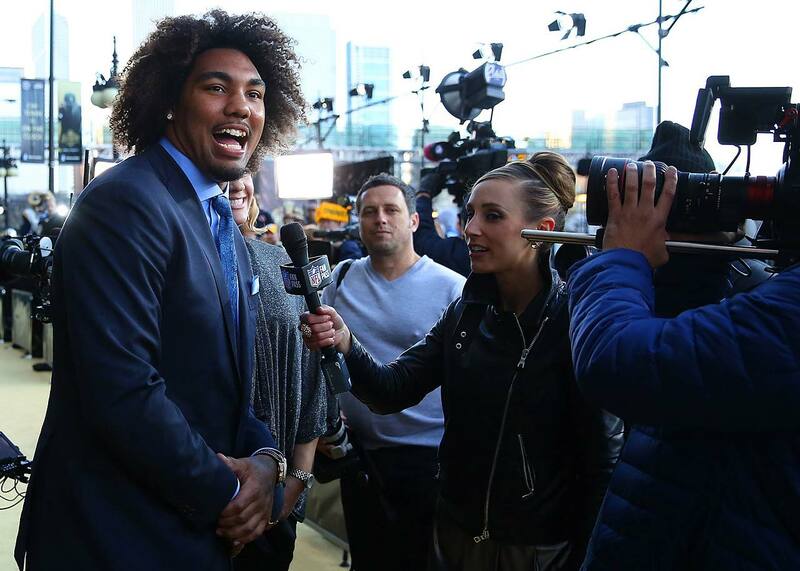 Leonard Williams is interviewed outside the draft venue before being taken by the New York Jets. 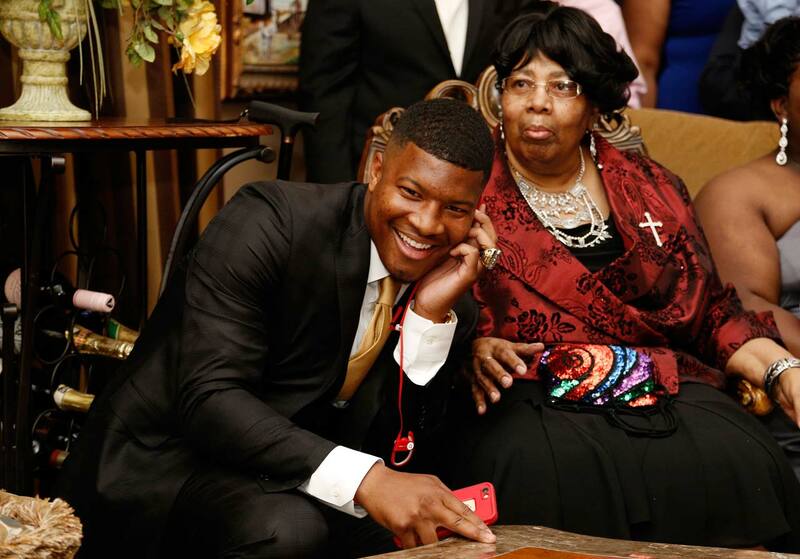 Jameis Winston waiting for the call. 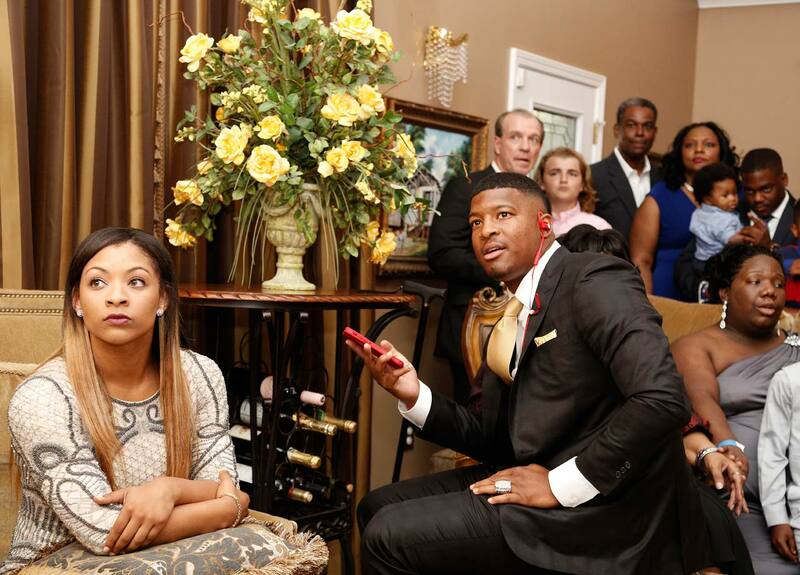 The scene inside the Jameis Winston draft gathering. Marcus Mariotta in Hawaii before the first round began. Two Patriots fans in Chicago. 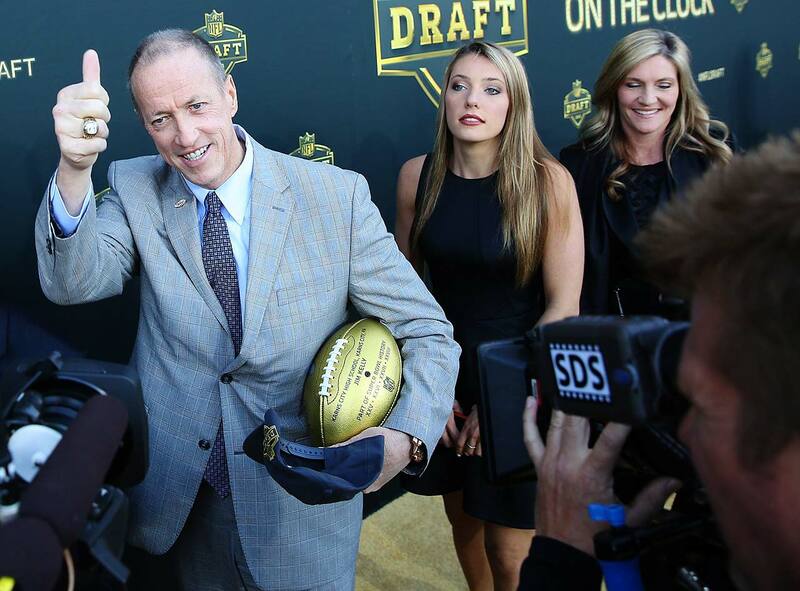 Buffalo Bills Hall of Fame quarterback Jim Kelly arriving at the NFL Draft. 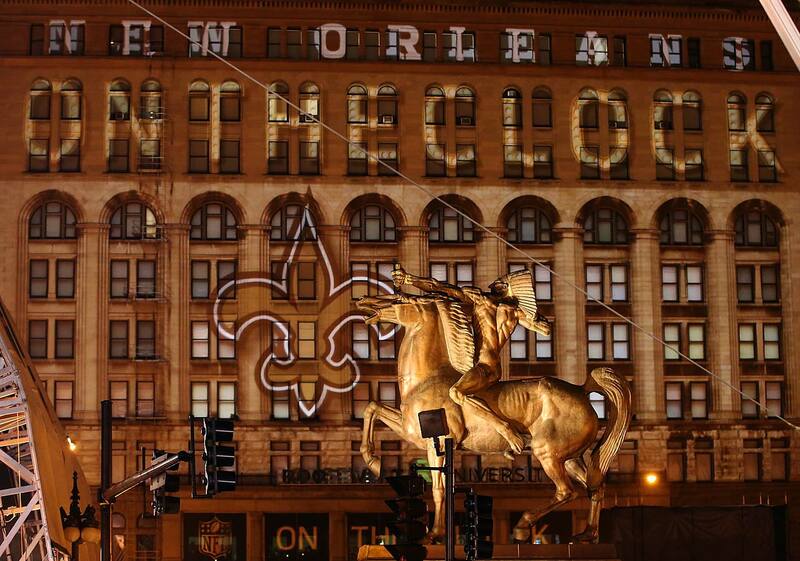 Chicago mounted police before the first round commenced. Dante Fowler's shoes on draft night. 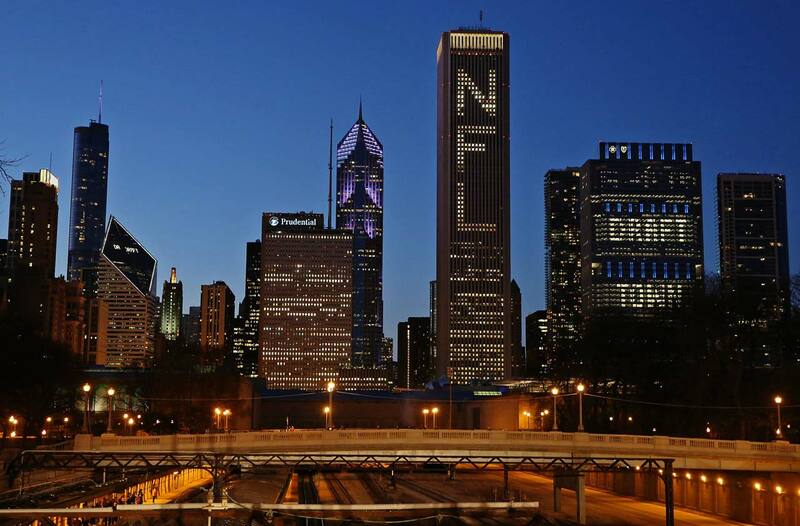 Chicago welcomed the NFL Draft with open arms. The view from outside Roosevelt University Auditorium Theatre. NFL prospect Trae Waynes of Michigan State talks to pediatric patient Alec Cabacungan while doing a mock interview during the NFL PLAY 60 activities at Shriners Hospital for Children on Thursday, April 30 in Chicago.